VW's teaser image shows a curved hood and angular headlamps. 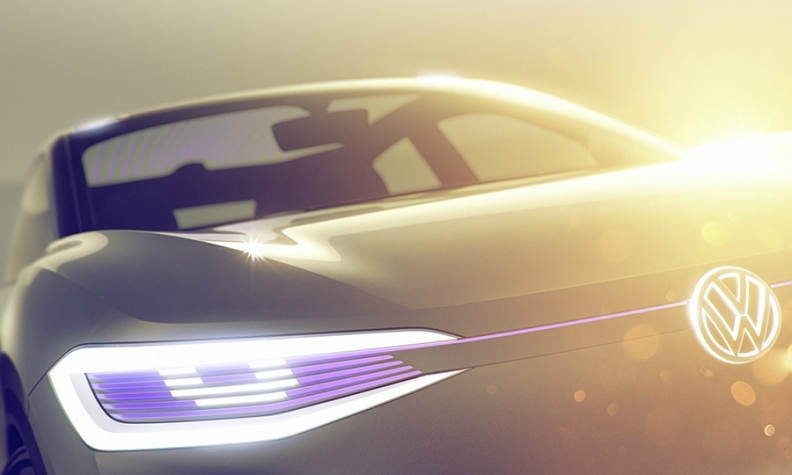 FRANKFURT -- Volkswagen Group has released teaser images of a full-electric crossover concept that its core brand will present at the Shanghai auto show next week. The model is set to challenge Tesla's Model X as VW gears up to roll out a new zero-emission lineup starting in 2020. "Volkswagen has set the clearly defined goal of advancing electric-drive vehicles from the status of a startup niche to large-scale production models by the middle of the next decade in a worldwide product offensive," VW said on Wednesday in a statement. The I.D. crossover is a mix between a four-door coupe and a SUV. It targets the auto industry's fastest-growing segment as customers increasingly opt for spacious, comfortable rides with a higher seating position. The concept vehicle can switch to autonomous driving mode with a push on the VW badge in the middle of the steering wheel, which then folds automatically into the cockpit. The car then maneuvers around based on signals it gets via laser and ultrasonic scanners, radar sensors and cameras. The model would compete with Tesla's Model X, which the U.S. manufacturer started delivering in in 2015. The vehicle will probably be priced lower than the Tesla counterpart, as VW has pledged that the I.D. line will cost about the same as its diesel models. The German company, has yet to name the crossover. VW said in January at the Detroit auto show that a production version is expected after 2020. The brand's target to sell 1 million electric cars a year by 2025 is a cornerstone of a comprehensive revamp amid a tectonic industry shift to emission-free vehicles prompted by tightening regulations. 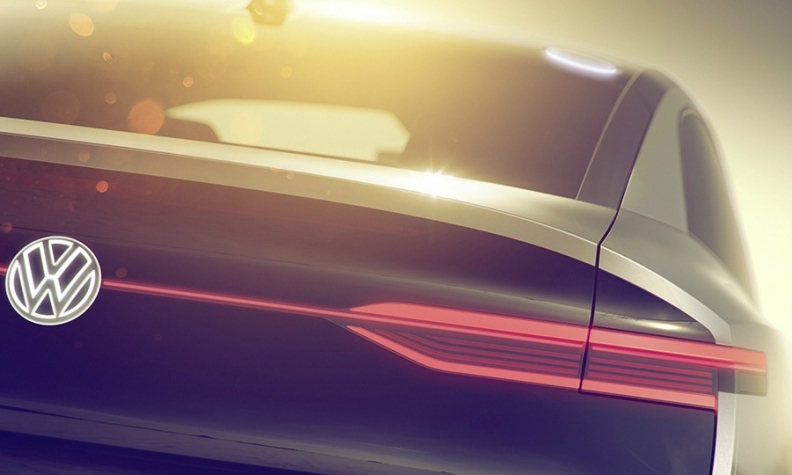 VW's concept can switch to autonomous driving mode. Volkswagen, which dethroned Toyota as the world's best-selling automaker last year, must balance the huge expenses of developing battery-powered vehicles and new digital features with the financial fallout of its diesel-emissions cheating scandal, which stands at 22.6 billion euros ($24 billion) so far.